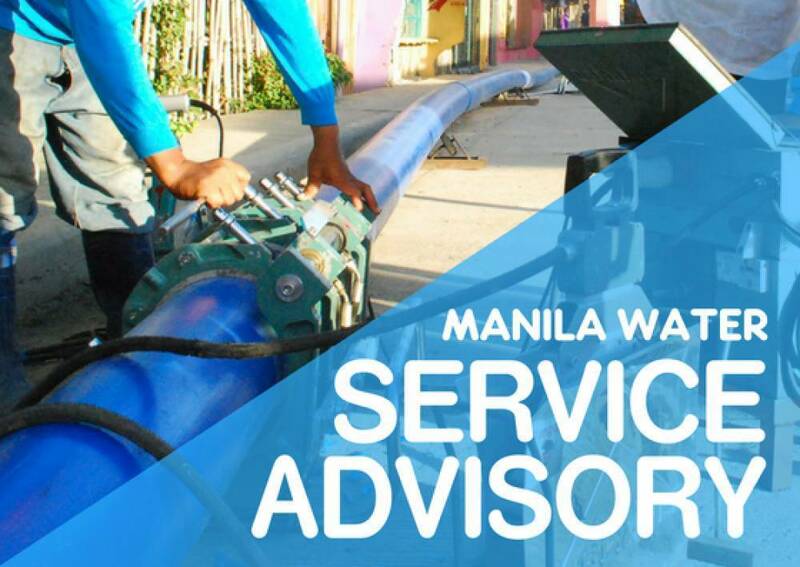 SERVICE ADVISORY: Emergency leak repairs in Quezon City to cause water service interruption to 44,619 households on Nov. 8-9, 2018 | Manila Water Company, Inc.
Manila Water will undertake emergency leak repairs of its mainline located at C. Benitez Street corner Mariposa Street, Barangay Horseshoe, Quezon City. This will result in temporary water service interruption affecting more than 371,000 population in 92,772 households, commercial and business establishments in 32 barangays in Mandaluyong City, San Juan City, Pasig City and Quezon City, beginning Thursday, November 8, 2018 at 10:00 PM until 6:00 AM, Friday, November 9, 2018. Manila Water is advising residents of the said barangays to store enough water to supply their needs during the interruption period. After service is restored, customers are advised to allow a few minutes for flushing before using the water from their taps. For more details, please call Manila Water’s Customer Care Hotline 1627 or like us on Facebook and follow us on Twitter.